Exceptional service is our mission along with making your cocktail party as great as it can be. Whether you simply are looking for a fine cuisine dropped off at your party, or are in need of a more formal setting fully equipped with highly trained chefs, servers, and/or bartenders, Chef's Catering is the way to go. No matter the size of your party, budget, or date, our staff is fully equipped to suit your every need for your event. We are extremely flexible with our services. Customer satisfaction is our biggest value and we only strive to provide the best quality of food and service. With each event that we do, we build lasting relationships, one client at a time. 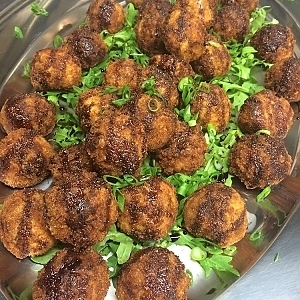 Pictured here are our Pork Szechwan Fritters perfect for your Cocktail Party menu. 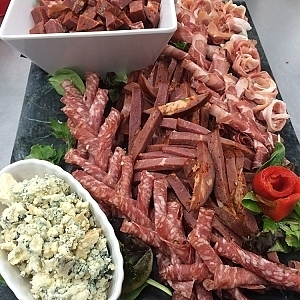 Contact us today to learn more on our cocktail party catering services!